I am falling behind a bit as I forgot to mention our ride on 17th January. With the forecast looking good we decided at short notice to cycle from Tumble to the Discovery Centre at North Dock Llanelli. 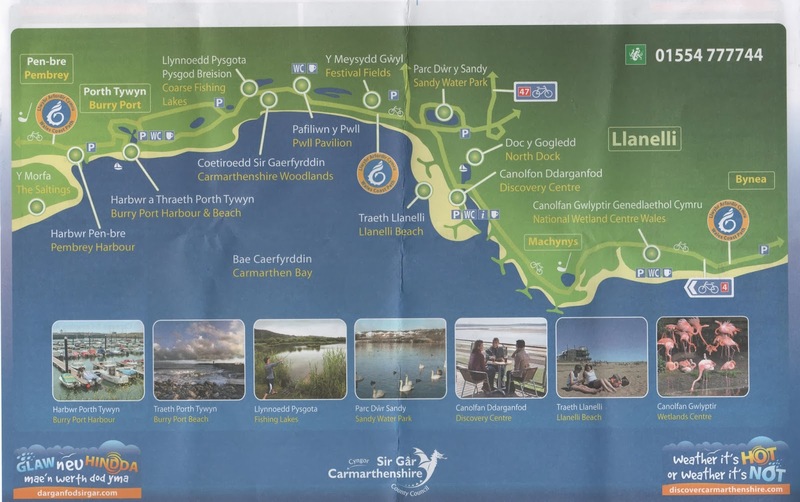 The route is traffic free for its total length and follows for the most part the old railway line and then onto the Millennium Coastal Path one we have ridden a number of times. Just after starting the forecast was clearly wrong as it rained but thankfully not for long and thereafter the it stayed dry and with light winds. On passing above the lower Swiss Valley Reservoir it was a change, although not surprising with all the rain we have had, to see the overspill in full flow. At the coast the tide was again well out and we could see the cockle pickers in the distance. They must have good local knowledge as I wouldn’t fancy taking my car onto the sands and at a fair distance away. Thankfully Paul and I discovered an ancient cycling law that states that wherever possible the route MUST include a cafe and so as we are law abiding we parked up outside the Discovery Centre and had a nice coffee and bara brith. Suitably replenished we set off back home. the additional calories we took on were soon ridden off as we cycled uphill to Tumble and the car. 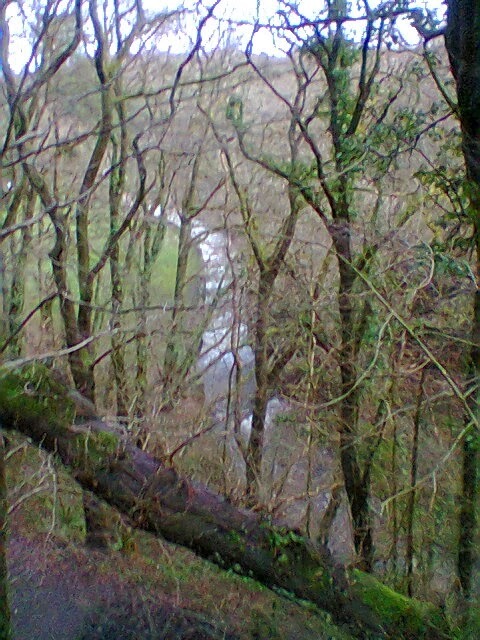 Today, 23rd of January was looking reasonable for a ride without rain although the wind could and was a nuisance. We parked up at Penclacwydd, the National Wetland Centre and headed west. There was a strong headwind for the whole of the outward journey and we were hoping the direction would not change for the return. I am always amazed and pleased to see people walking, running or cycling along the path and they seem to in all weather conditions. The Millennium Coastal Path was a good investment and despite the recent storms the path was clear of sand and debris, well done Carmarthen Council. The golf club car park looked full and there were a few hardy souls actually playing. 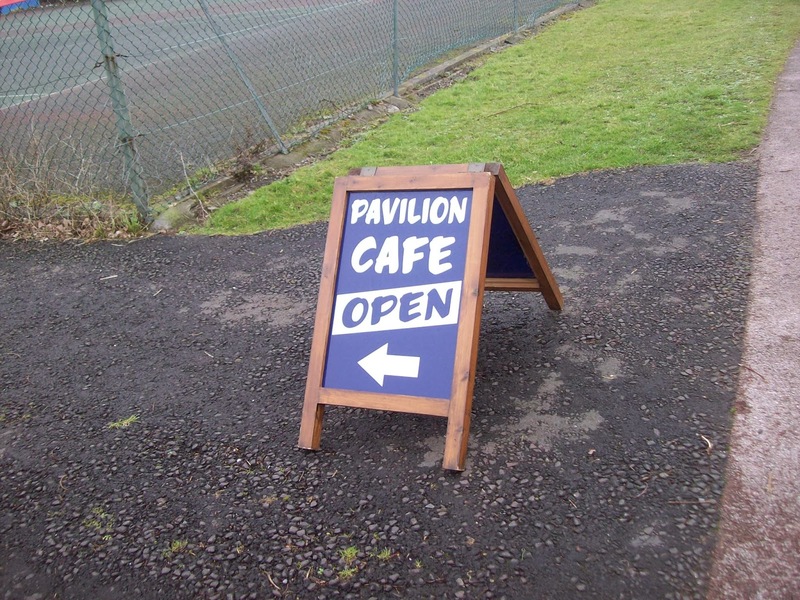 We passed our previous week’s watering hole and headed for the Pavilion Cafe in Pwll, Paul had mentioned the all day breakfasts. 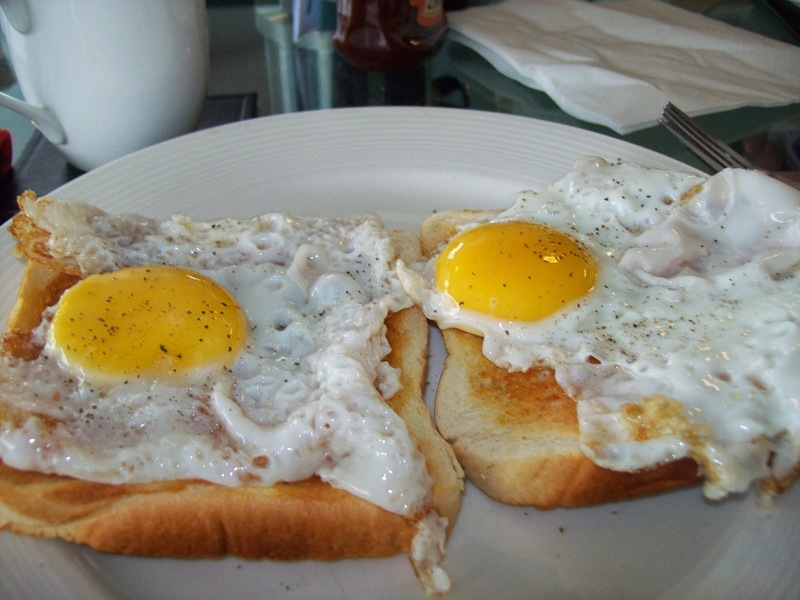 The cafe was busy and we sat down to double egg on toast with coffee, once again abiding by the cyclists law (see above). 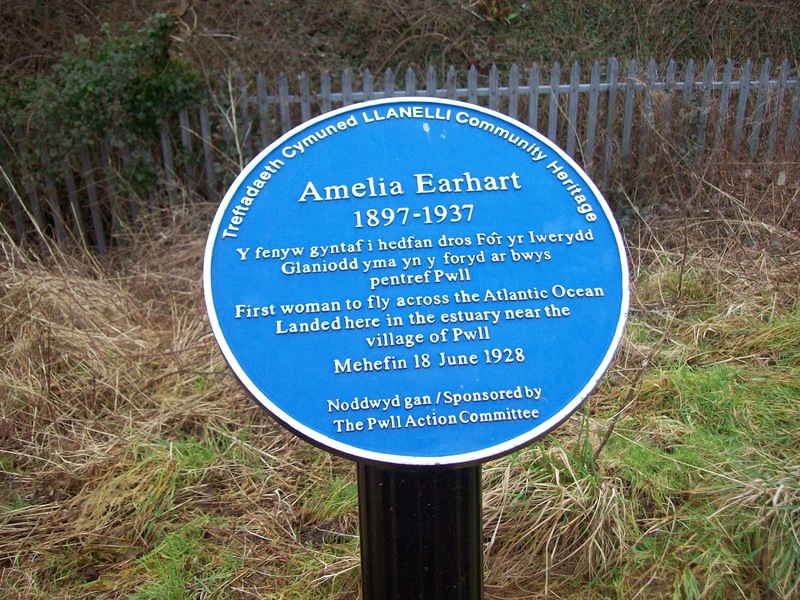 It wasn’t far from the cafe that Emilia Earhart landed her plane after flying from the USA. Luckily for us the wind had not changed direction and the ride back was much easier.